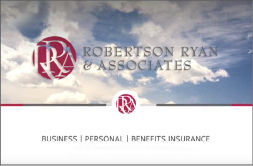 Robertson Ryan & Associates offers a Complete Insurance Solution. All coverages. All sizes. All risks. Take a few minutes to learn about our history and the team at RRA.